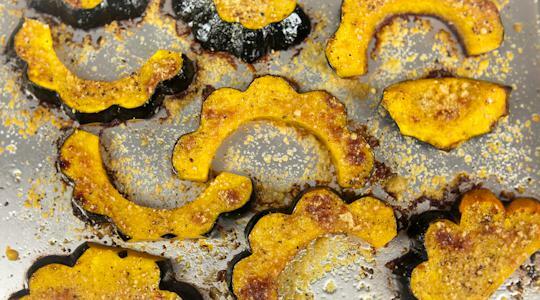 Heat the oven (with the oven rack in the middle) to 425°F. 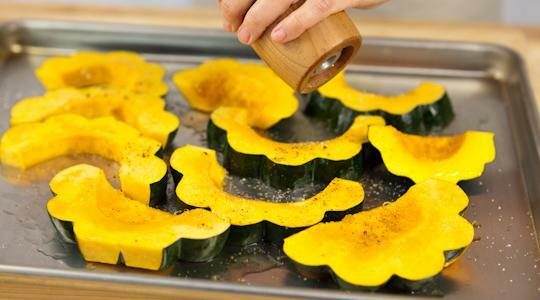 Spray a rimmed sheet pan with cooking spray. 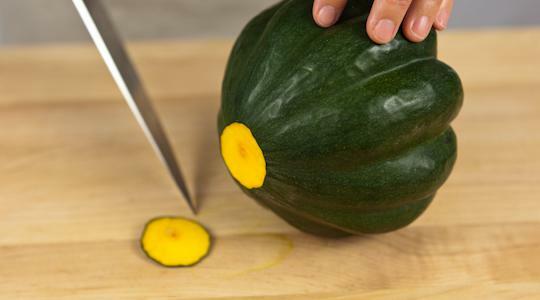 Using your chef’s knife, shave a thin piece from the side of the squash to prevent the squash from rolling when you halve it. 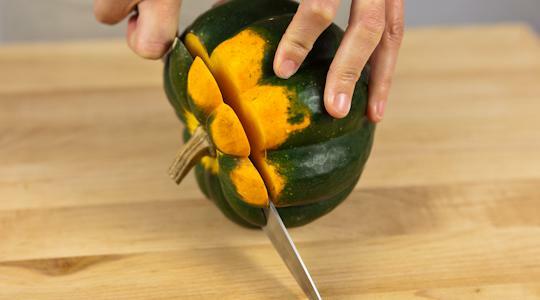 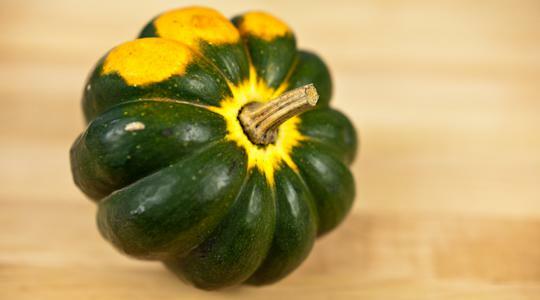 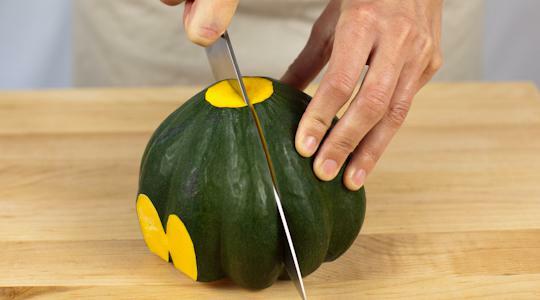 Trim the ends of the squash and cut it in half (lengthwise) from stem to opposite end. 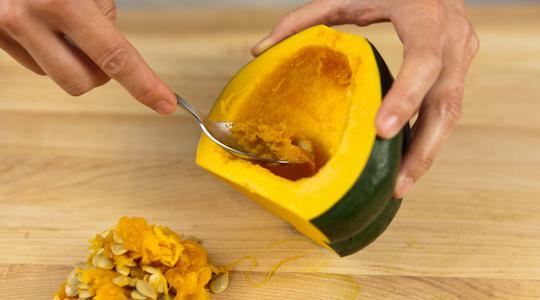 Scoop out the seeds and pulp. 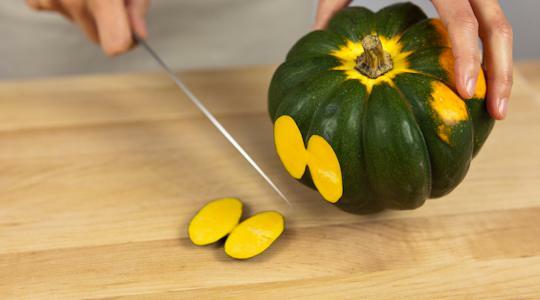 Slice into ½-inch thick half moons. 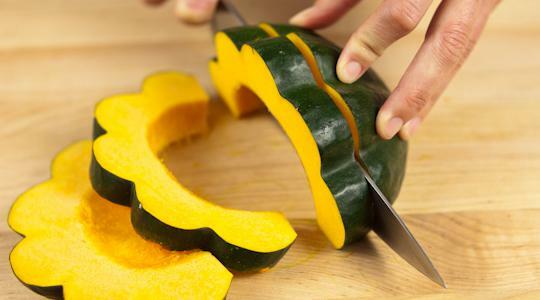 Transfer to the prepared pan. 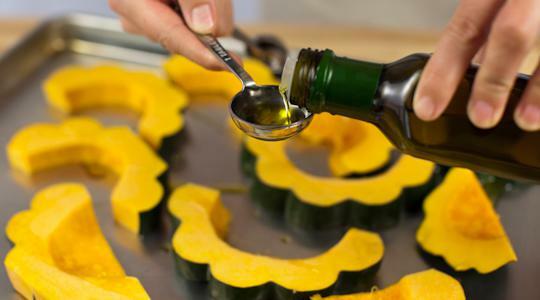 Drizzle the squash with the oil and rub to coat evenly. 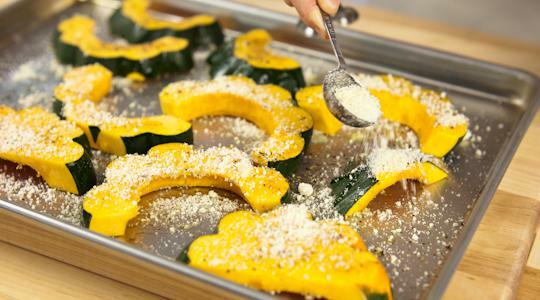 Season with ¼ teaspoon of the salt, ⅛ teaspoon of the pepper (6 turns on pepper mill) and sprinkle with 3 tablespoons of the Parmesan. 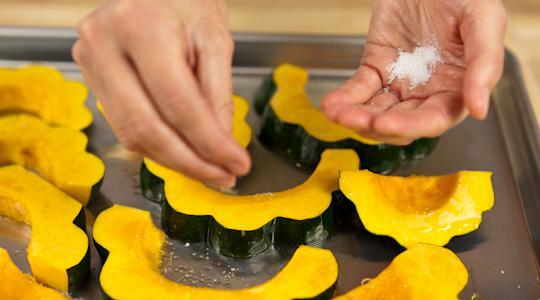 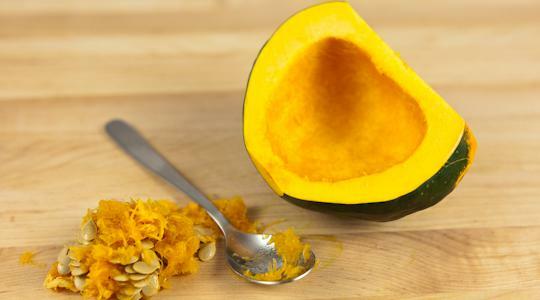 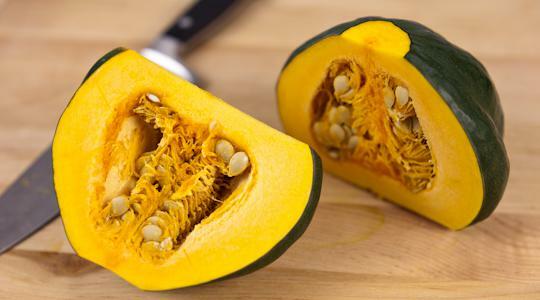 Turn the squash over and repeat with the remaining ¼ teaspoon salt, ⅛ teaspoon pepper, and 3 tablespoons Parmesan. 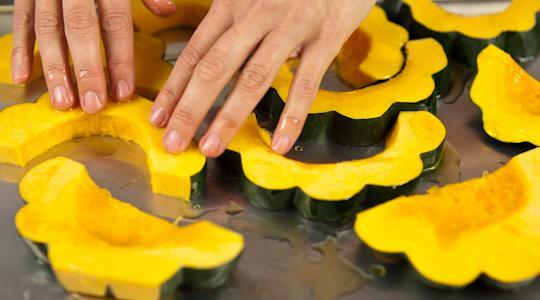 Roast, without turning, until the squash slices are golden brown and tender, 35 to 40 minutes.